Yes, this section is all about health. Total Health is nothing short of a challenge in today’s stressful lifestyle and polluted environment. It is important to make healthy lifestyle changes, which include ample sleep, exercise and good food. This section will be with you like a trusted friend, helping you understand the benefits of good food, and the smart twists you can make to your cooking methods and choice of ingredients, so that healthy eating becomes a way of life rather than a one-time activity. As you go through this section, you will realise that you do not have to give up your favourite dishes to stay healthy – you just need to cook them the right way! 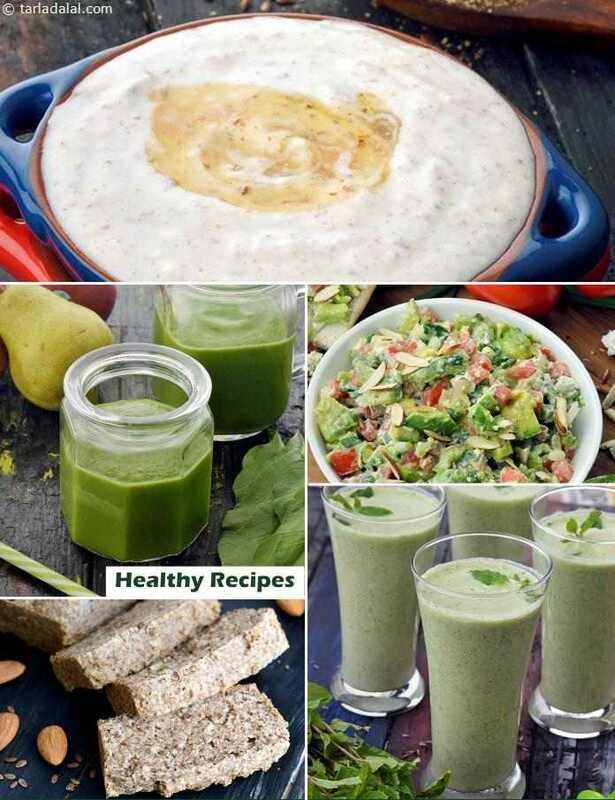 Here is a bank of delicious recipes for most major health conditions like diabetes, cholesterol and pregnancy. From healthy heart recipes to gluten-free recipes and calcium, fibre and protein rich dishes, you will find them all in here.